Rosemary LeBeau’s work has spanned many genres over the 30 years she has worked as an artist. 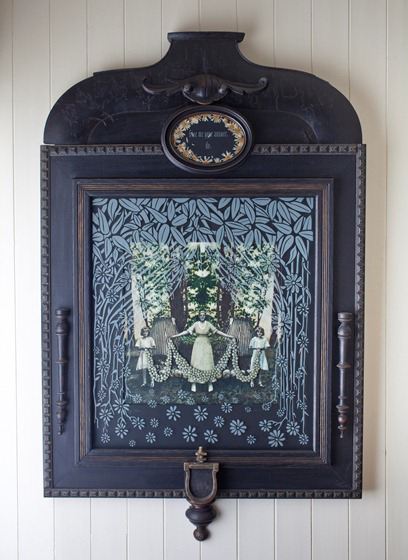 She was trained and spent many years as a photographer, and photography continues to thread its way through her work, but painting, drawing, bookmaking and assemblage sculpture are all strong pulls for her. LeBeau’s work is elegant, sentimental, detailed and very heartfelt. She has exhibited widely and has won numerous awards and grants. Her work is available for purchase. She conducts small art classes for artistic teens in her beautiful studio.